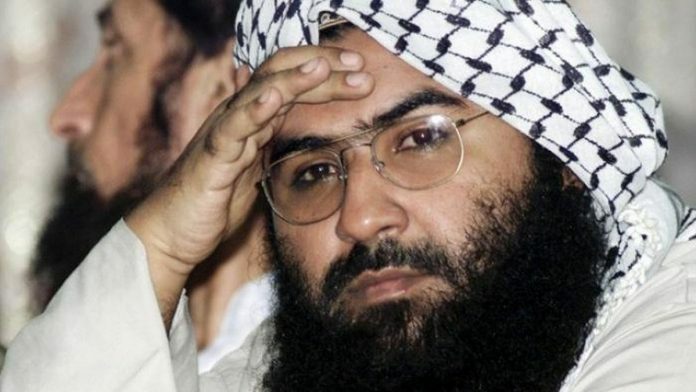 United Nations: In yet another setback to India’s bid to designate Pakistan-based terror group Jaish-e-Mohammed’s chief Masood Azhar as a global terrorist, China on Wednesday put a technical hold on a proposal in the UN Security Council to ban him following the Pulwama terror attack. The proposal to designate Azhar under the 1267 Al Qaeda Sanctions Committee of the UN Security Council was moved by France, the UK and the US on February 27, days after a suicide bomber of the Jaish-e-Mohammed (JeM) killed 44 CRPF soldiers in Jammu and Kashmir’s Pulwama, leading to a flare-up in tensions between India and Pakistan. The Al Qaeda Sanctions Committee members had 10 working days to raise any objections to the proposal. The no-objection period deadline was scheduled to end at 3pm local time (New York) Wednesday, (12:30 AM IST Thursday). The external affairs ministry said it was disappointed by the outcome on account of “a member” placing the proposal on hold. “This has prevented action by the international community to designate the leader of Jaish-e-Mohammed (JeM), a proscribed and active terrorist organization which has claimed responsibility for the terrorist attack in Jammu and Kashmir on 14 February 2019,” it said in a statement in New Delhi. “We are grateful for the efforts of the Member States who moved the designation proposal and the unprecedented number of all other Security Council members as well as non-members who joined as co-sponsors. The statement also noted that Azhar is a former leader of the terrorist group Harakat al-Mujahadin and he had given a call to volunteers to join the fight in Afghanistan against Western forces. In 2009, India moved a proposal by itself to designate Azhar. In 2016 again India moved the proposal with the P3 — the United States, the United Kingdom and France in the UN’s 1267 Sanctions Committee to ban Azhar, also the mastermind of the attack on the air base in Pathankot in January, 2016. In 2017, the P3 nations moved a similar proposal again. However, on all occasions China, a veto-wielding permanent member of the UN Security Council, blocked India’s proposal from being adopted by the Sanctions Committee. Hectic diplomatic and political parleys had preceded the closely-watched March 13 deadline as New Delhi reached out to the UNSC member countries. In the wake of the Pulwama terror attack, India launched a major diplomatic offensive against Pakistan, holding briefing for envoys of 25 countries, including those from the five permanent UNSC members — the United States, China, Russia, the United Kingdom and France — to highlight Islamabad’s role in using terrorism as an instrument of state policy. Just two days before the March 13 deadline on Azhar’s listing, Foreign Secretary Vijay Gokhale met US Secretary of State Mike Pompeo in Washington. As every country has its own priorities and interests to safeguard in international scenario, so does China. Pakistan is China’s trump card against India. It cannot abandon it. Moreover, China doesn’t want to antagonise Jem (Azahr), for it’s own interests. China has a substantial Muslim population in a province bordering Pakistan /Afghanistan. Azhar can create trouble for China there and it’s infrastructures in Pakistan. Moreover, so many such organizations are on UN’s blacklist, but all are operating freely. Most countries merely obey UN’s dictates only on paper. Every banned organization or persons by UN has the backing of one or the other county. Although we should continue our efforts internationally, our first priority should be to strengthen our own house. And remove our ambiguity in such case in our media anddomestic political arena. how do you know it was Jaish’s bomber???? what’s the proof… its again biased media coverage… shame on you warmongering people. Unclear why China is expending so much diplomatic capital on someone the whole world knows to be a terrorist.